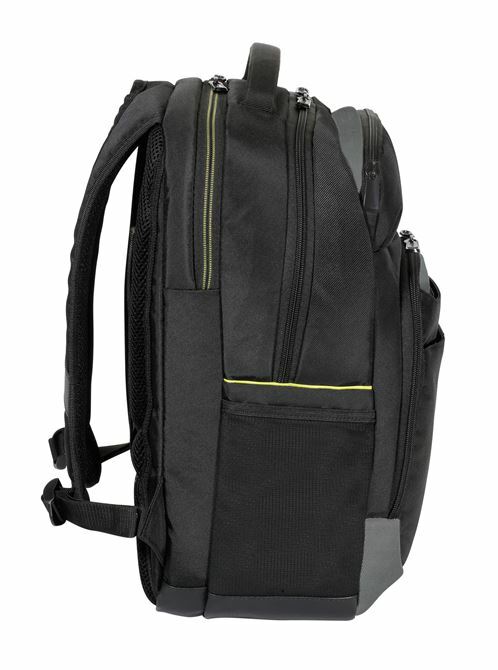 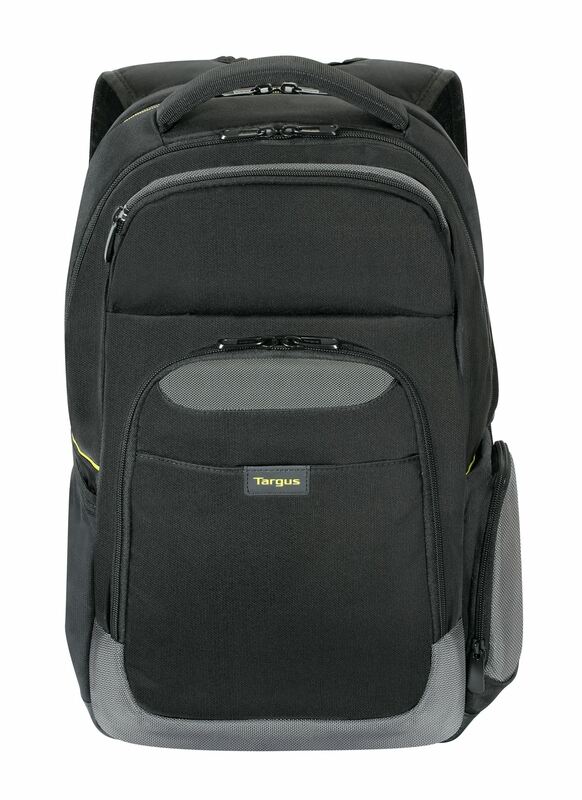 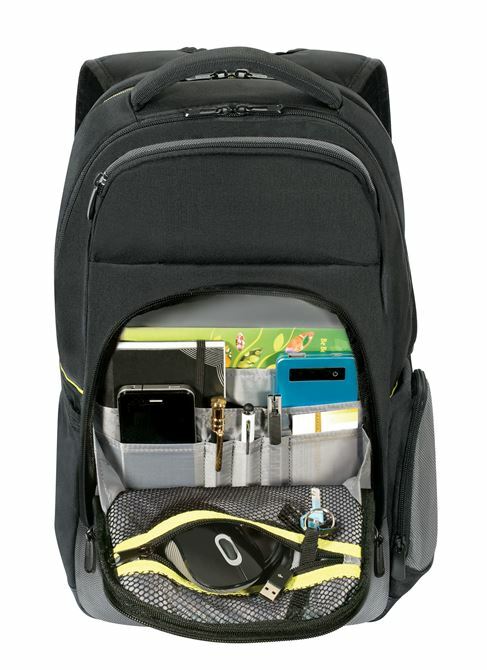 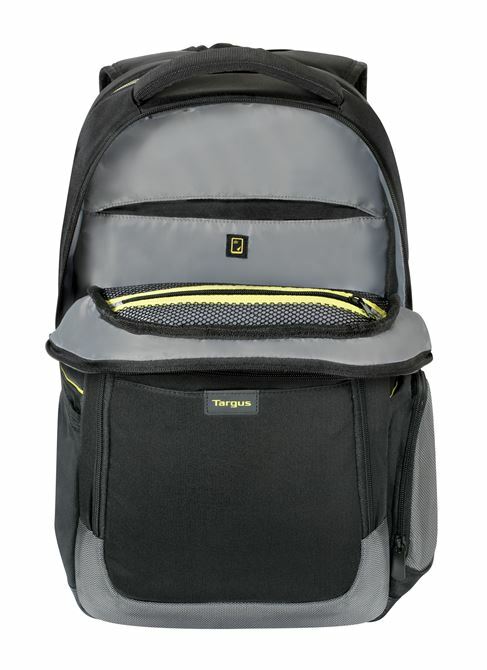 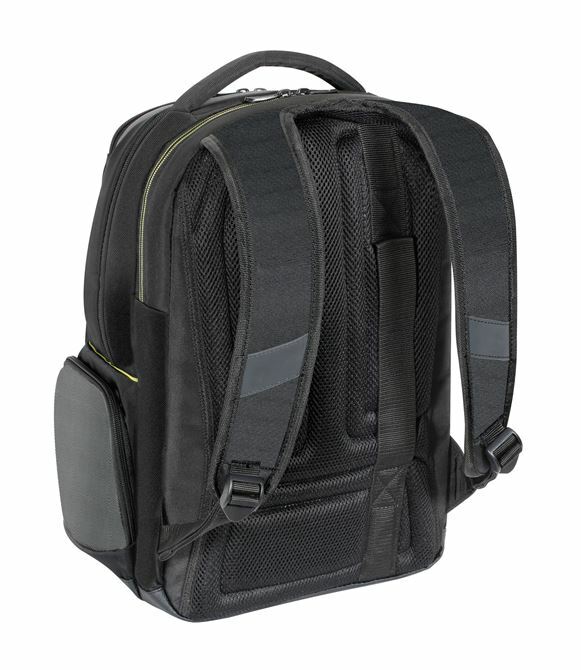 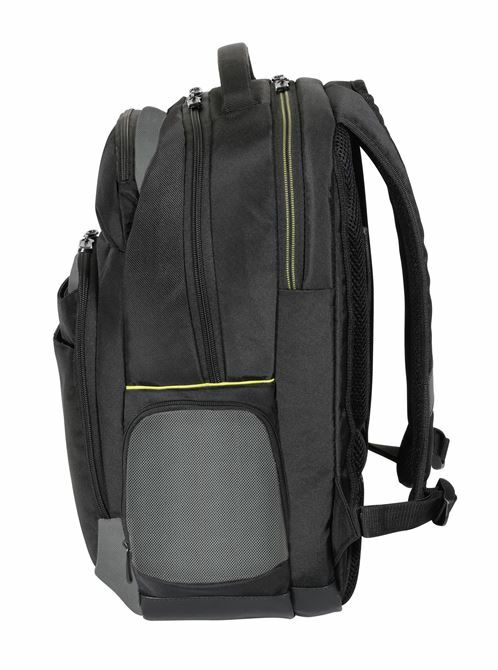 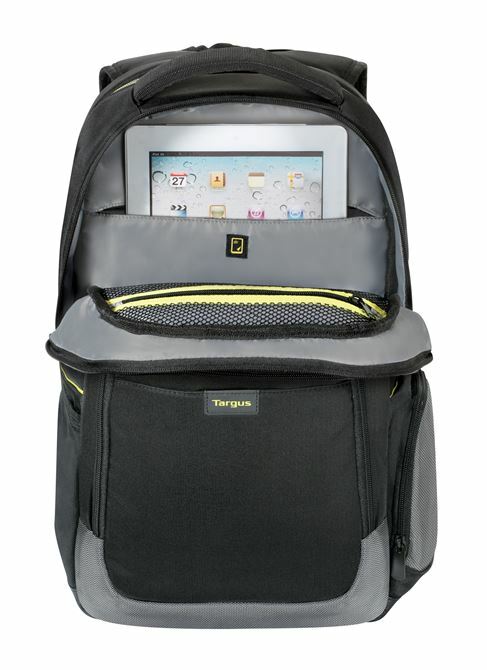 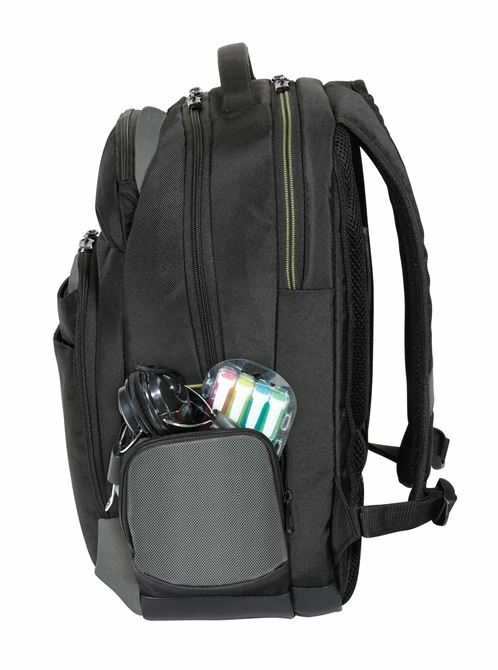 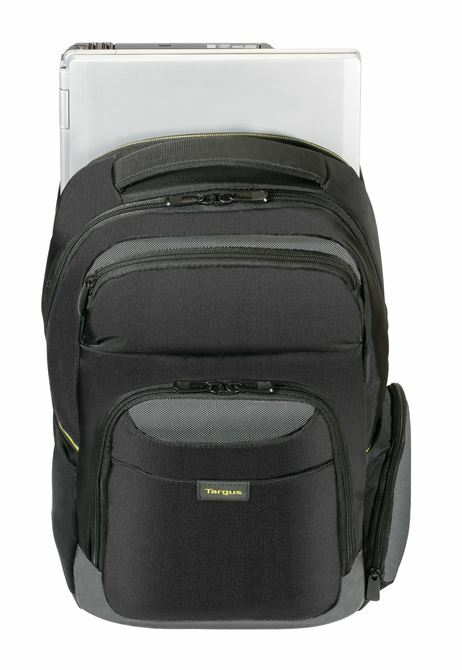 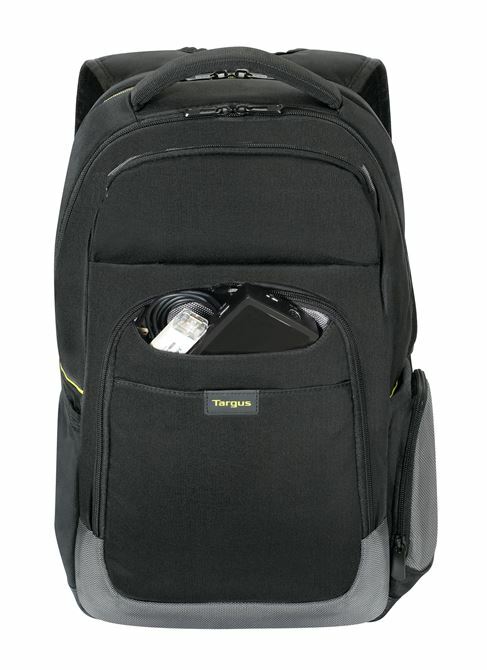 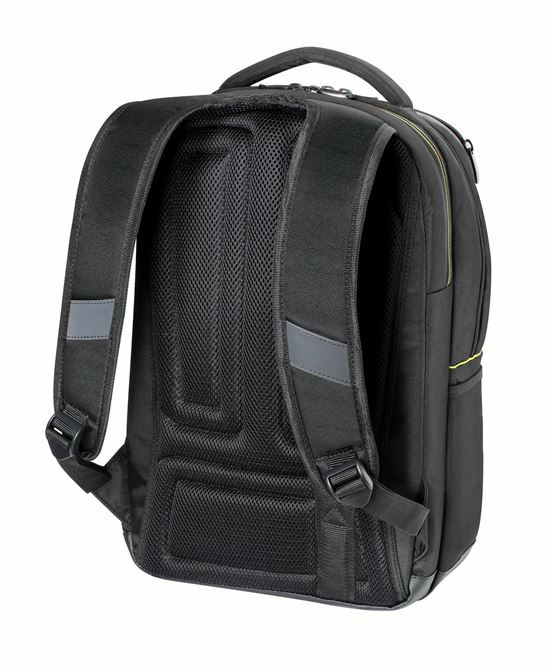 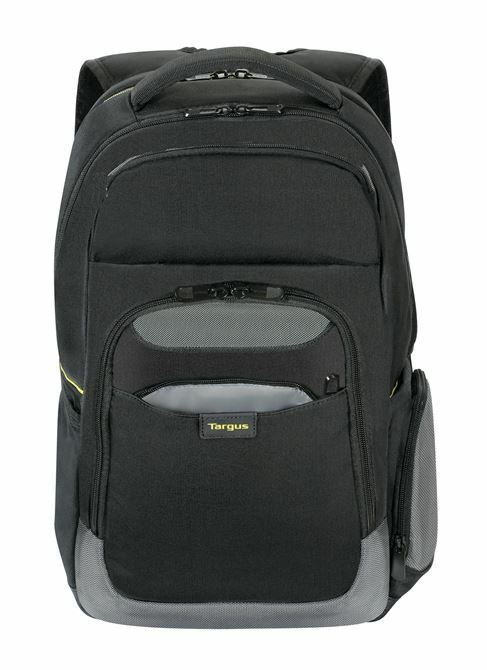 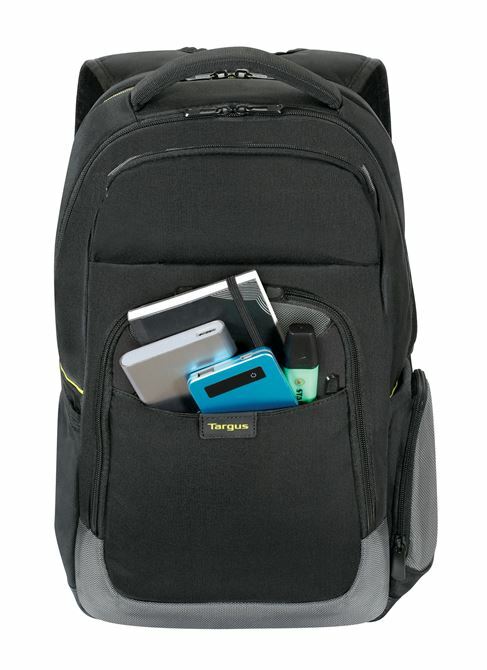 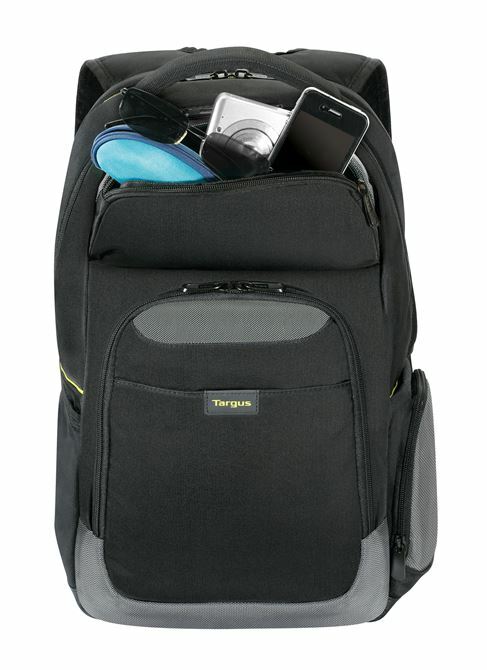 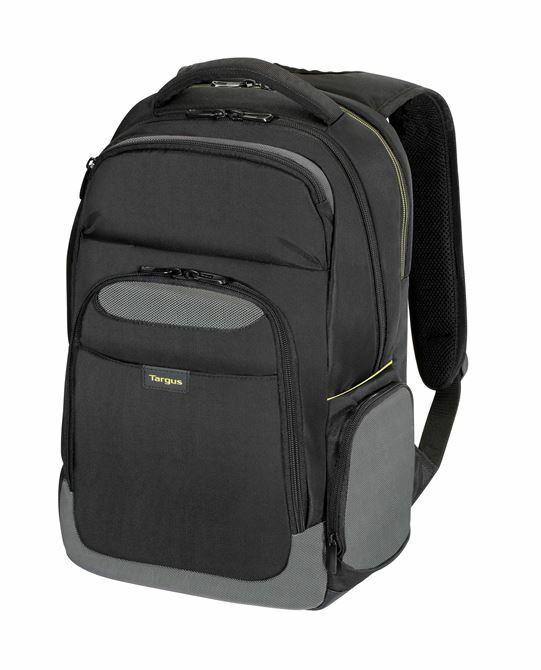 Targus City Gear II Backpack is the perfect commuter bag; carry your tech in this functional backpack with casual styling, clever capacity and comfortable carrying. 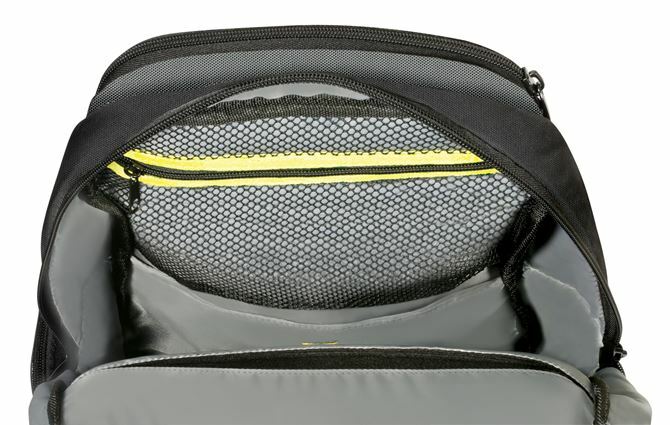 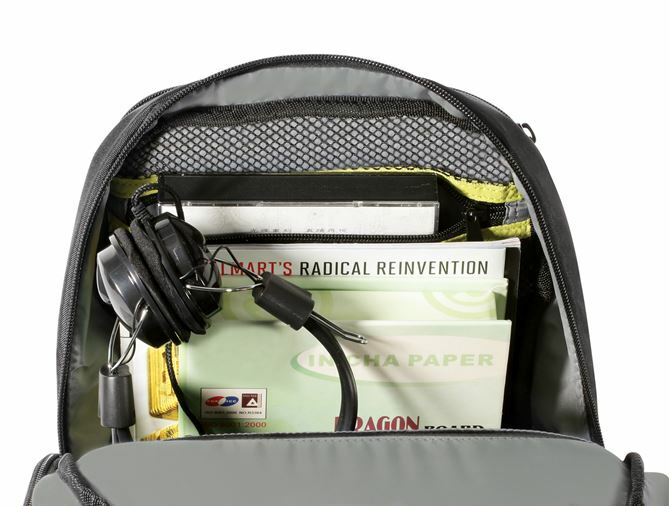 The built]in Dome Protection System will protect your tech during the commuter]crush with shock]absorbing layers integrated into the bag to dissipate pressure and protect your laptop, tablet and other devices inside. 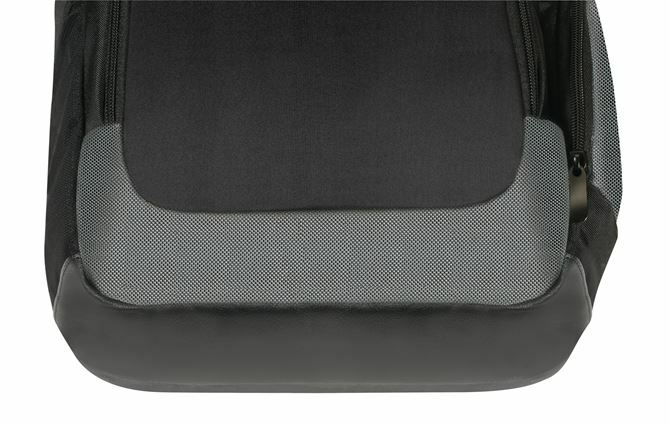 With zipped mesh pockets so you can see whatfs inside and space for notebook and stationery you can keep your stuff organized in designated compartments. 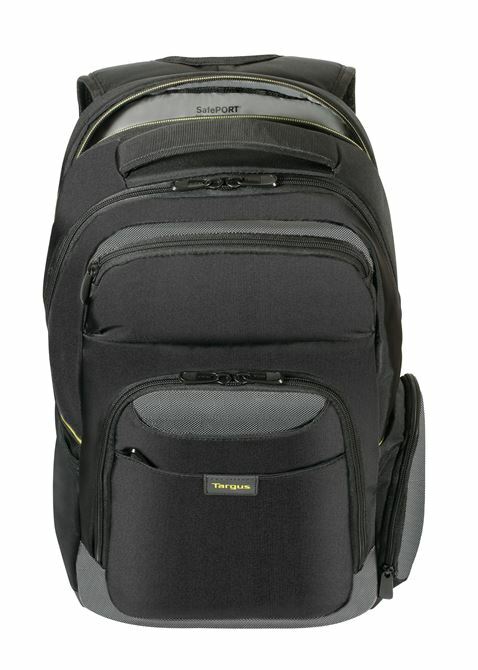 Designed For Commuting Built to protect and transport up to 15.6" laptops and tablets with space for your accessories and business tools, City Gear is designed for the modern commuter; fitting in overhead compartments or beneath the seat. 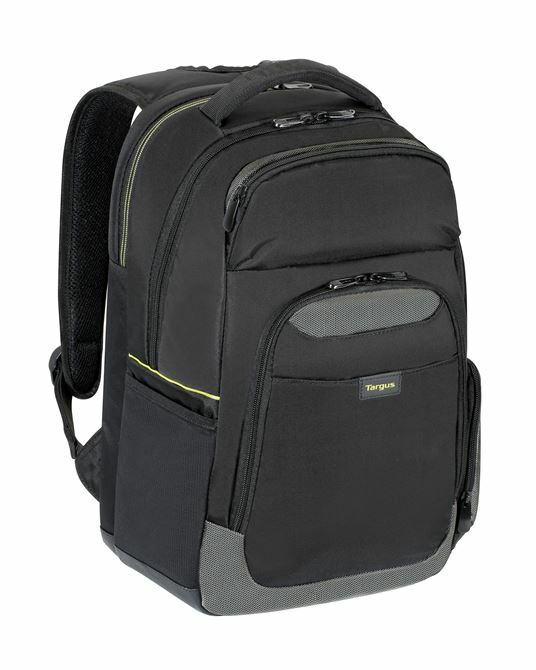 Clever capacity With lots of space and designated pockets and compartments for your laptop, tablet, accessories and stationery while maintaining an overall slim profile. 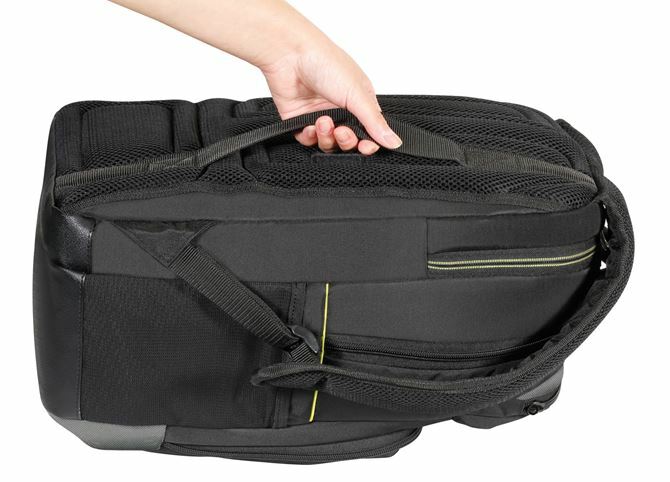 Grab It. 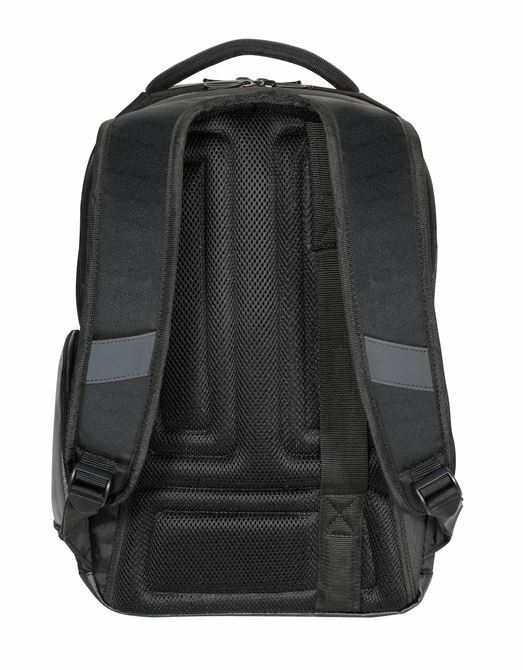 Shoulder It. 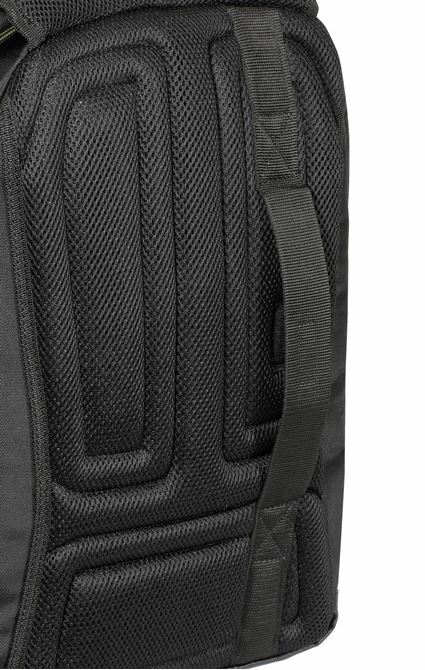 Trolley It. Grab and go handles. 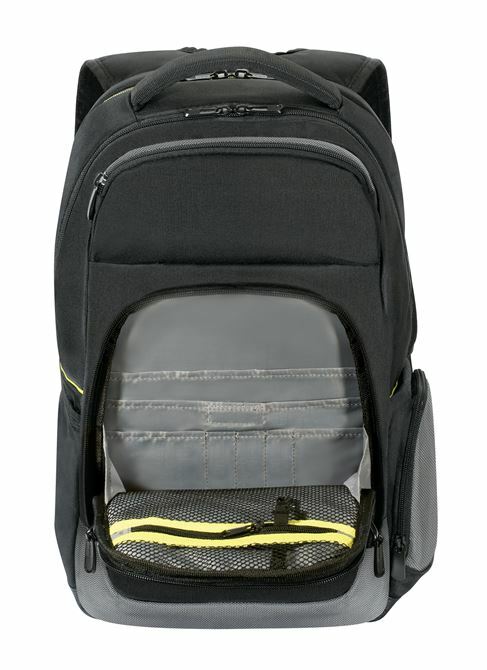 Padded shoulder straps and trolley straps keep you comfortable on the move.